What is Culture Industry [dot] Club? Culture Industry Dot Club is at once a domain name and the name of a dynamic assemblage of artist-researchers – Gabi Schaffzin, Sofie Elana Hodara, and Zachary Kaiser – engaged with emergent practices and deep historical and theoretical research. The mission of their hybrid practice is to identify and critique the dominant ideologies of our time, embedded within every consumer technology and media experience. Culture Industry Dot Club produced and distributed a publication in conjunction with the opening of the Dr. Pawel Norway Dream Machine exhibition at Icebox Projects in September of 2017. The publication includes an abridged version of “Resolving the Incommensurability of Eugenics and the Quantified Self,” an essay by Gabi Schaffzin. You can download a PDF of the publication here. 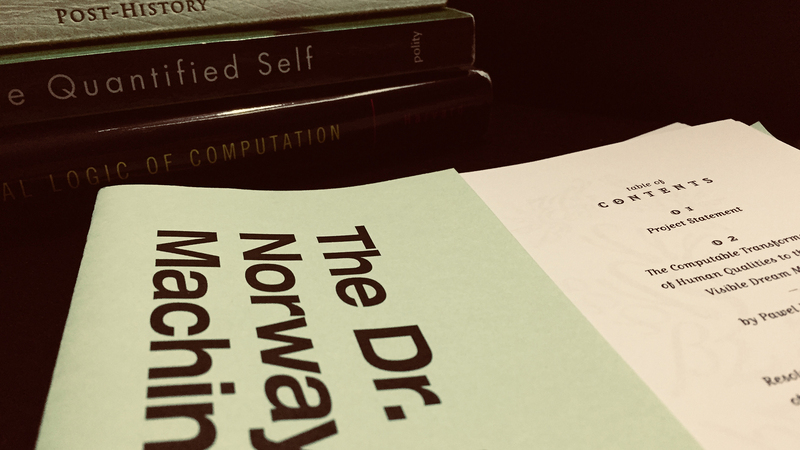 The Dr. Pawel Norway Dream Machine is a project of Culture Industry [Dot] Club.